MK says "militant feminist crackdown" is under way as seven activists find themselves behind bars. Several campaigners for fathers' rights and shared parenting after divorce have been arrested or summoned for questioning in recent days and a Knesset member who sides with the fathers' movement says a "militant feminist crackdown" is under way. One activist father, Guy Shamir, has been held in jail for 21 days. 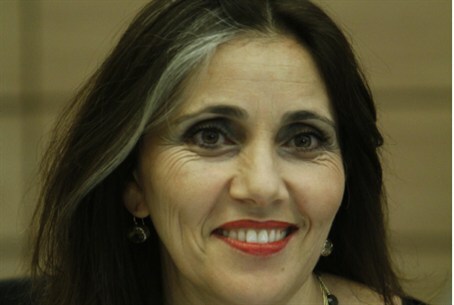 He was arrested when Haifa Family Court Judge Esperanza Alon's clerk claimed that he used a threatening phrase in a telephone conversation with her. Shamir says he told the clerk: "The judge should mind her own children and I will mind mine." The clerk claimed that he told the judge to "mind her children" in a threatening way. An attorney who heads the Coalition for Children and Families was questioned and placed under three-day house arrest regarding alleged threatening statements on the internet. His computer was confiscated. The organization recently organized a study day in Tel Aviv's Municipal Library regarding anti-father bias in the Family Courts. Speaking on Channel 2, MK Yulia Shamalov-Berkovich (Kadima) said that that seven activists, including one woman, have been arrested or questioned in the past four weeks. The arrests, she said, are befitting of "a regime like Syria's" and not of a free society. "The struggle for equal parenting is beginning to take form," MK Shamalov-Berkovich said, "and it seems that the interested bodies that feel that the divorced fathers may, G-d forbid, get equal rights, and will get to see their children, not in prison-like 'contact centers', under supervision of a social worker who sits there and won’t let the father touch the child, even though he was an outstanding father before the divorce – [these bodies] have decided not to accept this situation." Channel 2 asked the police for a reaction – but the police refused to give one. Asked about Visitation Centers in the Knesset, Welfare Minister Moshe Kahlon did not deny that Israel's welfare authorities refer children of divorce to such centers at a rate that is six times higher than in the average developed country.